So this one is near and dear to me. 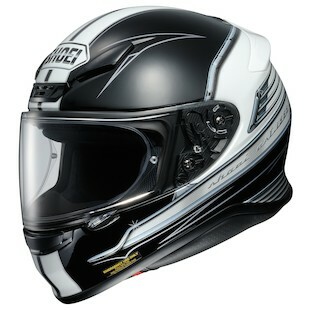 The Shoei RF-1200 is my personal favorite helmet… of all time! I mean, other than the one Maximus wore in Gladiator of course. And maybe Darth Vader’s. But hey, I don’t think that either of those were DOT approved. 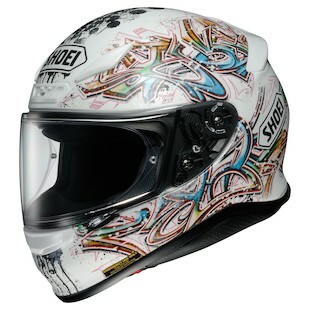 The Shoei RF-1200 Graffiti Helmet leaves little to be misunderstood about its design. Like a subway car in 1989, this lid is tagged to the maximum with color, splatter, and crisp design. With a vast array of color along each of the side and a drip of ink over the faceshield, this is a helmet for the city streets… watch your front tire around those train tracks though! Races begin at the starting gates and end with the finish line. It is everything in between that matters. Simple enough. And the universal symbol for that ending point? That’s right… a checkered flag. With the Shoei RF-1200 Terminus Helmet, that ethos is instantly recognizable as the finish line is displayed with a stripe down the center as well as along each chin bar. Additional visual texture is shown with weathered looking Yellow paint and fabricated rub marks that make the helmet seem as if the helmet has been running hard for the win. For the riders looking to run a little bit outside of the standard decorum, the Shoei RF-1200 Brigand Helmet is a bit of attitude unlike any other. Entangled in webs of deceptive deviance and lurking in the shadows for the opportune time to strike, this is a helmet that makes no apologies. In case there were any questions, and there shouldn’t be, a skull graphic over the words “vida loca” is prominently placed on the rear left of the helmet… ya’ll better recognize! 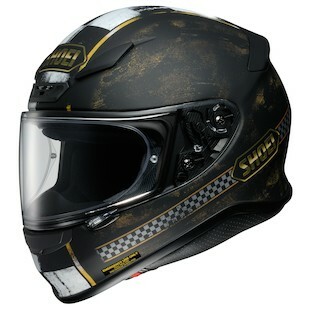 The Shoei RF-1200 Cruise Helmet is a smooth, simple, and well-paced graphical addition to the lineup. Coming in either Black/White or a very stylish, very Ducati, Red/White option, a sweeping color scheme creates a feeling of speed and perpetual motion throughout. There is no sitting still, no waiting to ride until tomorrow… the Cruise Helmet from Shoei is all about getting out there now! 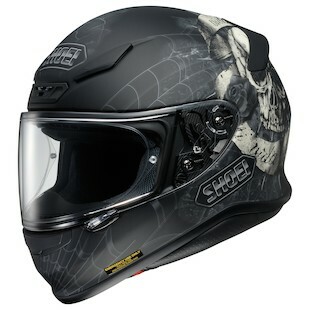 With the new line of graphics for the Shoei RF-1200 helmet, there is a little something that will appeal to each of us. No matter your style, if you are looking for a great helmet with a unique style, any of these would be a good place to start your search.